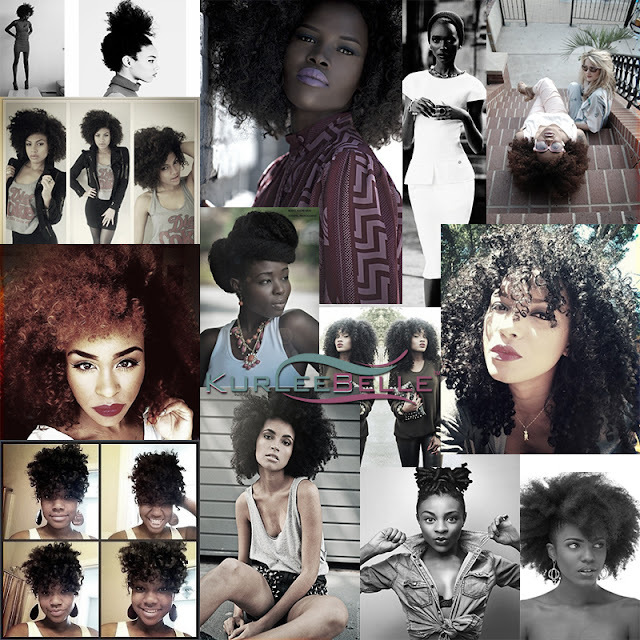 Kurlee Belle: Natural Hair | Are We Really Free? Natural Hair | Are We Really Free? It is my job to inspire women and help them look and feel beautiful. I search daily for inspiring images that make women feel good about their hair and look. For me, the natural hair movement is a BIG deal, because I get to help women which impacts my life. My mission and passion is to uplift and empower women, especially women of color. Society has their views of how beauty should look like: tall, skinny, lightly tanned and bone straight hair. The natural hair movement has challenged that status quo of beauty. Many naturals are gracing the silver screen, along with pages of major publications. Even though our untamed hair has enlightened society, the uncanny realization of a looser texture keeps rearing its ugly head. On Kurlee Belle's Instagram page, we post different shades of brown and a variety of textures. On a daily basis, we receive many messages from how to achieve certain styles to what products to use. The most asked question is "How Can My Hair Look Like Hers?". The most disturbing question was "Do You Have Anything For Real Monkey Hair?". This was unsettling to me because of the connotation it inferred. This woman who was probably a follower of one of the many natural hair celebratory pages, was comparing her hair to many beautiful pictures that were being posted daily on pages like my own. I believed that posting pictures inspired women, when in actuality, many are comparing themselves to the beautiful images that they "liked" by the hundreds. I can clearly see why luscious long curls would stir up envy in the minds of many. As human beings, it is in our nature to want the best out of all aspects of life. The 'survival of the fittest' which has sustained mankind is partially to blame for us being unsatisfied . We want to mate with a partner that will give our offspring an advantage to survive. In the natural hair world, this is translated to a looser, longer, fuller curl pattern. The reality is that God did not intend for us to look the same. However you can get a texturizer to loosen your curls or work with what you got. With that being said, it is always so much more fun to stand out and embrace your natural beauty. Many women have effortless curls and it may take ten products to get your hair to look right (or the way you want it). Remember, her best look is not yours because who she is or how she looks is already taken. Experiment and find styles and products that are flattering to your hair texture. Be the best You. That is the only way to be truly free. We want to hear your thoughts. Tell Us below. I don't think that will ever change because ENVY is powerful! Love what you have to say here. It hits home and resonates so deeply! We can only be the best us that God created and intended for us to be! Natural Hair Eye Candy All Day Everyday! Natural Hair | What's Your Biggest Problem?